Our Puppy's name is Sassy,and it really fits her attitude to. She was scared when we first brought her home. Our other GSD did not know what to think!! He was even Scared. But today she is a friend with our other dog. We think she will be a great guard dog like when our grandpa came to our house to share some oranges and apples, well when he came to the door she barked up a storm and shes only at least a month old!! But do not let the top script fool you she is a stubborn old pup, she pees on the floor,bites,does not listen.But do not worry shes just now starting to be trained we will have her trained by the summer of 2011.Then the real training will begin such as guarding the front porch and not jumping on people.
" Our Puppy Growing Up Part 2 "
Hey, Rose. 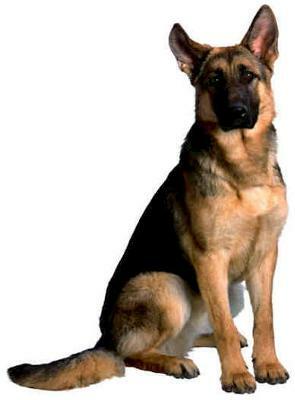 I once had a beautiful coated German Shepherd named Rose. She was 10 years old last year when she passed so your name reminded me of her - thanks for that. Nice memories! Anyway, thank you so much for telling us all about your great new German Shepherd puppy, Sassy. What a nice story - it's great to hear how happy and playful she is. And also that she is getting along with your other dogs as well. That is a great thing to overcome. I hope you’re still doing well with her. Just keep working on the training - it is a continual process, but especially important when they are young. And I’m sure she will help you keep those clothes and slippers picked up too - puppies can get into everything. So readers, if you have a minute, please share your German Shepherd puppy story with here, look at some beautiful GSD puppy pictures, watch a few German Shepherd videos and see what experiences others have had with their own German Shepherds. It's fun to read what others have done.